Actually I wasn't making any comparison between them at all. Karl had referred to the attaching of a wing to the Isabella Stuart Gardner house in Boston so as to preserve the mansion itself intact, and I commented incidentally that the added wing at the Bronte Parsonage was a broadly similar sort of solution. There was no implied connection with the Elgar Birthplace. As far as the interior is concerned there's nothing inherently to be preserved intact in the Elgar Birthplace because (unlike the Brontes at the Parsonage) he didn't live there. Just born there, and in later years was fond of revisiting the place. The interior is just a sort of homely Elgar museum - hugely atmospheric and deeply moving, but not the same sort of thing as the BP. I'm kind of reassured by your comment that you found Olaf hard to follow, Mike. So do I find - I thought there must be something vaguely not-so-bright about me, but now I see that either we are both not-so-bright, or it really is tricky to follow. I've never really taken to it myself, though I've only had two or three goes at it, mostly (as you note) because of the presence of Ms Cahill in the Handley recording. Sounds like I should try again. Alan, So good to see you back! It took me a long time to start to get to grips with the piece. I spent months singing about dragons and then the penny dropped, the reference was to the Viking longships with their dragon prows. But now that I have ‘got’ it I am enjoying it a lot. 'King Olaf' may be a little known early work, but it has one claim to fame: it may have been responsible for the career of Havergal Brian. The young Brian was so bowled over by a performance of 'King Olaf' that he wrote to Elgar asking for advice on an academic musical education..
Elgar's reply, in which he told Brian that he had had to 'get by' without any formal study, was a revelation to the fledgeling composer - if the self-taught Elgar could write 'King Olaf', what might the untutored Brian be capable of? Thus, 'King Olaf' is partly responsible for one of the longest threads on this forum! I got his Chandos recording which is excellent and rather more vivid, and in the main better sung, than the Handley. Though Handley does have Teresa Cahill who is always worth seeking out. Truly an outstanding performance or more of the British press listening with the blinders on? King Olaf was very popular when it was first available, then faded away. This kind of Victorian interest in the age of Bards and Nordic myth seemed finally to exhaust itself. There had been a Europe-wide obsession with the Romantic Movemnt springing from ancient sagas. Mehul, Berlioz, Beethoven, Schubert and many others picked up on the work of a non-existant poet called Ossian. In fact these epic poems were not ancient, but invented by James Macpherson in the mid 18th century. Eventually the poems were discovered to be fakes and fashion moved away to find inspiration elsewhere. We may never be able to forgive Elgar for this. Read an interesting article on the Albanian violinist Alda Dizdari who now based in the UK has become obsessed with the Elgar violin concerto. Now a British citizen, after mastering the concerto she was determined to introduce it to the country of her birth. This she did with concerts in Albania and Romania with local orchestras who in most cases were unaware of the concerto's existence. I thought this of what she said worth quoting: "As a foreigner who's lived here for quite a long time now. I feel about this music in a special way. The old qualities of Britishness are so hard to describe - kindness, nobility, awkwardness, superiority, sense of entitlement, sense of humour and an emotional depth that can be hard to read (the best description of Elgar's music I have come across). Although I've felt at home in this country from day one, and am a British citizen, I know I'll never be British like that. But I love these qualities in Elgar". Thanks for this - certainly new to me. 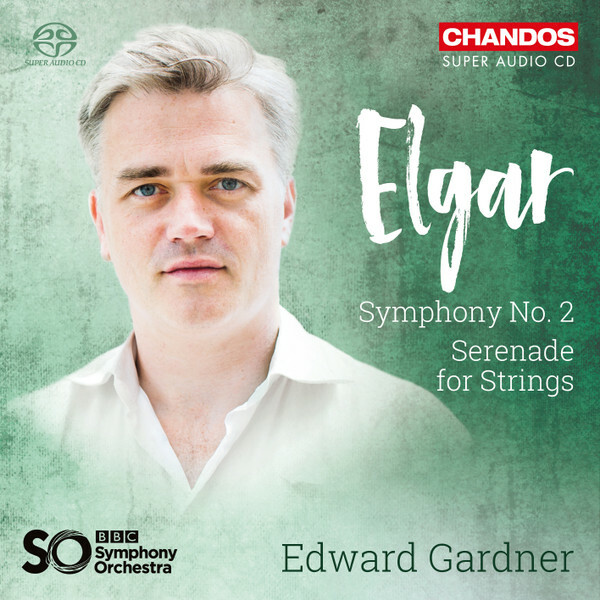 That description: "kindness, nobility, awkwardness, superiority, sense of entitlement, sense of humour and an emotional depth that can be hard to read" is a pretty good summary of the uneasy rubbing-together of a wide variety of qualities one finds in Elgar. Listened to this yesterday for the first time, both narrated and non-narrated versions (prefer the latter). Payne has done good job here. The orchestration feels Elgarian all the time. So great music here. Beautiful, energetic, ethnic flavors, etc. What not to love? Too bad only Elgarian explore this music, because I'm sure a lot more would like it. But it is what it is, Romanians not knowing about Elgar's Violin Concerto etc. The performance is GREAT. Sir Andrew Davis knows how Elgar should sound. Tempi etc. are on point. The recording a bit too dry imo at least for headphones making the soundstage small, but I have to check loudpeakers. Also, the recording isn't particularly bass shy, but on the light side and would benefit from some extra low frequency energy. There's also quite a lot spatial distortion, so headphone listeners need crossfeed to avoid spatial distortion. I bought this CD used and didn't get the 70 page booklet Chandos luckily offers as a pdf download. I should revisit that recording. That does look nice. I'm not sure if Romanians in particular are in the dark about Elgar's Violin Concerto, specifically. Do you know Enescu's music, though? 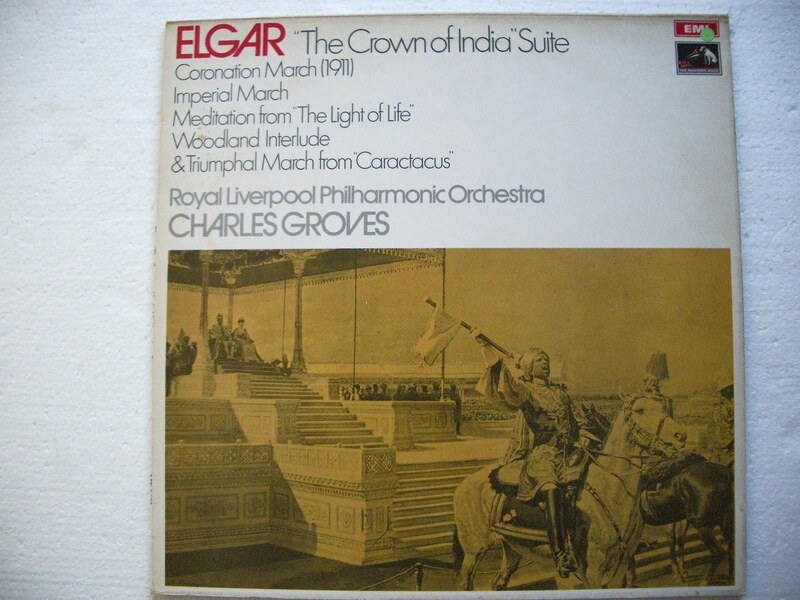 Charles Groves recorded a suite of "The Crown of India" in 1971. The suite which Elgar extracted himself to conduct at the Three Choirs Festival in 1912 in five movements is uneven but the true Elgar shines through. Were there any comments about how Elgar's VC was received by the audiences in Albania and Romania? And any idea when she played them? 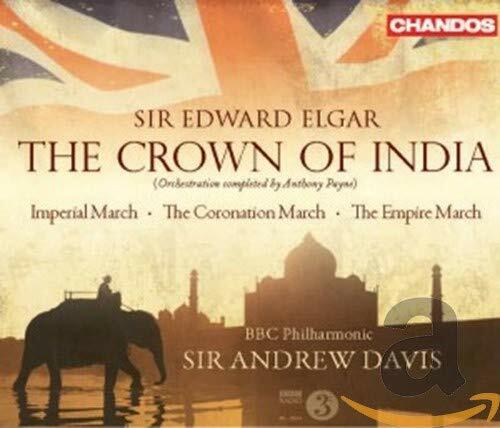 Wondering whether or not I might have any recordings of the Crown of India Suite? Perhaps on a BBCMM disc? Do you know Enescu's music, though? Not much. I have one CD of his Piano Quitet & Piano Quartet No. 2. That's it. Groves' 1971 recordings has quite bad sound quality. Gibson's is much better of these imo. The suite was published by Boosey & Hawkes while The complite work was published by Enoch & Sons (which went out of business in the 1920's). Alda Dizdari has written a book of her relationship of the Elgar VC, P. This link is a bit gushing (she really loves the work) but answers your query.